The document was signed following the meeting between Azerbaijani Energy Minister Parviz Shahbazov and Minister of Energy, Industry and Mineral Resources of the Kingdom of Saudi Arabia Khalid bin Abdulaziz Al-Falih. 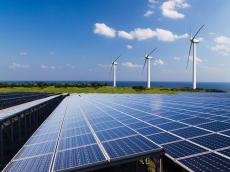 “Attracting foreign companies to the cooperation with Azerbaijan in the field of alternative energy is one of the important spheres of the ministry’s work,” Azerbaijani Deputy Energy Minister Samir Valiyev told reporters in Baku following the meeting. “The memorandum of understanding has been signed with the Saudi Arabian company ACWA Power today,” he said. “The cooperation formats will be determined within the memorandum. We hope that the company will work in Azerbaijan and implement its projects here."